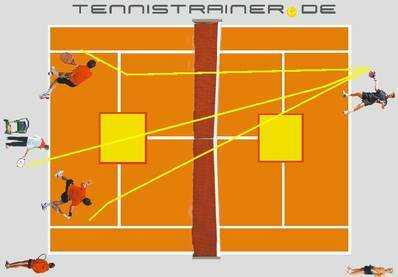 Welcome to tennistrainer.de, an innovative tennis online platform for modern and innovative tennis training. With tennistrainer.de, we want to provide an innovative platform for the coaching and training across the tennis sport for all coaches, players, parents and tennis interested individuals. Benefit from the new and modern online database with more than 750 current training activities for tennis and athletic training. Through the new search function, you can quickly find the appropriate exercises for varied and modern tennis practice. 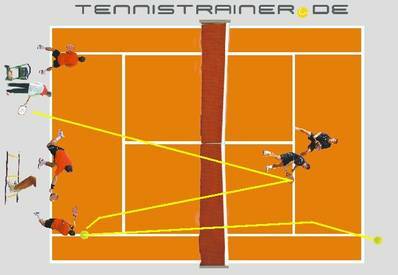 All tennis forms are presented with detailed descriptions and pictures directly in the database. More than 180 forms are shown in the form of a video clip. Additionally, you get the chance to determine your own training forms in an individual section and as needed it is possible to print. You can access the training database worldwide online with your smartphone or through any other internet access. 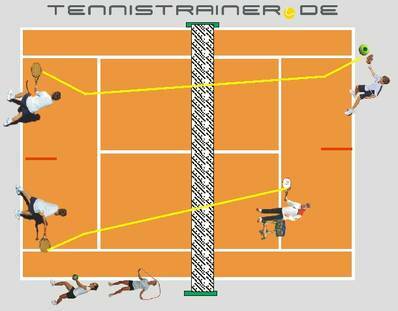 Plan your practice professionally with tennistrainer.de and choose the right exercises for successful training from more than 700 modern tennis and athletic training activities. All exercises are easy to understand and clearly illustrated. New ours "smart player management": they manage their player data with our system online. Your players can register free of charge via "tennistrainer.de" and enter their data independently online in the system. The allocation to the main coaches is done by entering the email address of the coach. The trainer can complement the player data, edit, and add more assessments to player. You can use PC, tablet, smartphone or any other Internet access, online world to the current player data. 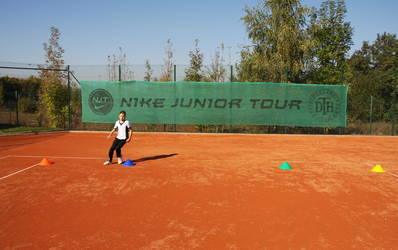 For the tennis practice, more than 400 different drills are shown with pictures and explanations about movement training, ball school and tennis training for children in preschool, learning and practicing in the small court, midcourt and regular court, applications of technique training (base line practice, net and offensive game, defense, serve, return), coordinative and conditional elements, psychologically oriented training, tactic, double and single practice.For all training forms, the modern theory of training is of course considered. Additionally, the concept of “play and stay” is the basis of all exercises. You get the chance to add your training forms to the database and choose them for your own schedule. In this section you can find more than 260 training drills for athletic and conditioning training.The following athletic and performance-influencing basic skills are displayed with numerous training forms: - dynamic warm up – technical imitation training – footwork training – coordination – quickness – strength – speed endurance – persistency – agility training – small games – strength training with equipment. A brief theoretical introduction to each training section should summarize the most important background information to each single section and topic. The new innovative and intelligent player managing the online database tennistrainer.de help and support on most modern way to manage their personal and tennis player specific data online. The special feature: Each player may register a free player access even for the ONLINE DATABASE and his personal and tennis-specific data entered after a successful LOG-IN (club rankings, power class) and the tournament schedule itself into the system online. Be the trainer who always current player data and can use the assessments in technical, tactical, athletic and other areas in Player make. About our new and unique delivery system allows you to specify more trainers who in their account can also view the shared player data. The player's coach decide on the release of the information. 1st-3rd: Can be managed via the free players access from coaches and players themselves! Assessment tennis equipment (tennis stroke of meeting, handle, shock movement, physical exertion, footwork, etc. 4th.-7: Is managed by the trainer, but can also be released from the coach for the player. 1st-7th: Can be released as information to the relevant players from the coach for other colleagues when needed. The classification of a trainer for Player is done by entering the coach-mail address when free players access. 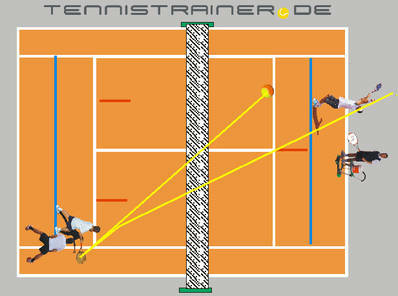 tennistrainer.de – the innovative tennis online platform for a modern support of your training scheduling. - All exercises are up to date and based on the current training theory and practice.